How to Become a Surrogate Mother | Surrogate Mothers, Inc. How to Become a Surrogate Mother | Surrogate Mothers, Inc. Becoming a surrogate mother is an exciting and rewarding endeavor. However, there are many considerations that must be made as well. Here’s how to determine if you are a good candidate for surrogacy and how you can get started with the process. If you plan on becoming a surrogate mother, it’s critical that you arm yourself with as much information as possible. Know the different types of surrogacy, including traditional surrogacy, gestational surrogacy, and in-vitro fertilization. Learn about the risks and benefits of surrogacy and decide if it’s something you want to do. Not every woman is able to be a surrogate mother. Generally, you have to meet specific health and lifestyle criteria, including having had a previous successful pregnancy. Visit your doctor and ask for testing that can help determine if you would make a good surrogacy candidate. Surrogacy laws differ from state to state and can be complex to understand. However, if you plan on becoming a surrogate mother, you’ll need to know what the laws are in your area and how they may apply to your situation. Learn what contracts you’ll need to agree to, what you’ll need to legally be responsible for during your pregnancy, and learn about how the parents will take legal guardianship over the child once it is born. An agency that specializes in surrogacy is often the best place to go to get your questions answered. It’s a good starting point, even before you visit your doctor for testing. Often, an agency can arrange to have all these things done and will help guide you through the process. An agency can discuss with you whether you wish to have a blind surrogacy, where you do not meet the couple whom you are becoming a surrogate for, or if you would like to be a part of an open surrogacy. There are many different options for women who want to give the gift of surrogacy. 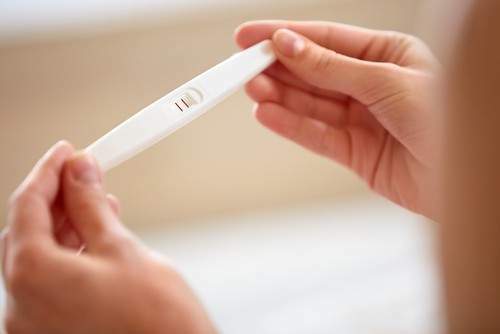 At Surrogate Mothers, Inc., we have helped match many potential surrogates with families who want to have a child but have been previously unable to conceive on their own. We can help educate you on what surrogacy is, what your responsibilities as a surrogate are, and how you can get started. Call us today for a consultation at (317) 996-2000 or toll free at 888-SURROGATE.